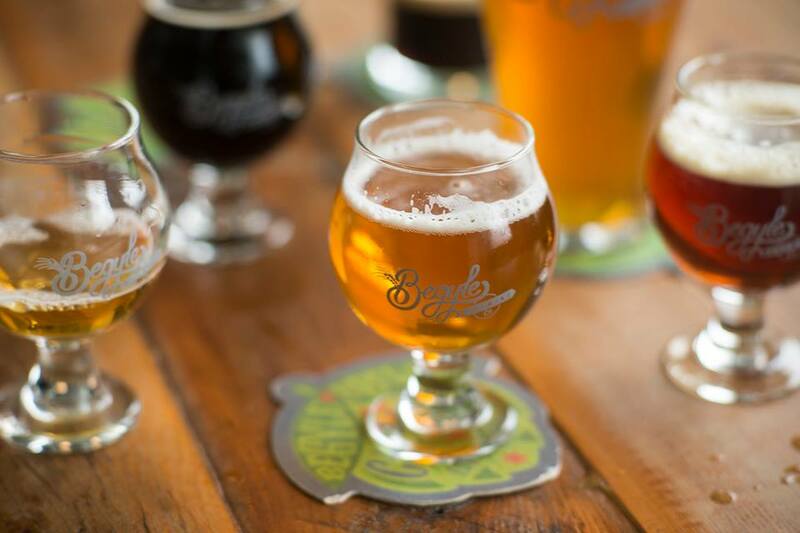 Illinois Craft Beer Week (formerly known as Chicago Craft Beer Week) is the highly anticipated celebration featuring various festivals and hundreds of events at breweries, bars and restaurants across the state from May 18-25. Now in its eighth year, Craft Beer Week is an annual reminder of just how big and influential the craft beer industry has become in Illinois and across the nation. Try to fathom this fact: A decade ago, Illinois was home to 41 breweries. In 2018, that number has risen to 225, with an estimated 20 more soon to be joining the ranks. A decade ago, Illinois was home to 41 breweries. In 2018, that number has risen to 225, with an estimated 20 more soon to be joining the ranks. Bruce White, who combines his two passions — leading tours and an appreciation for good beer — is the founder of the Chicago Beer Experience (ChicagoBeerExperience.com). We spoke with him this week about Craft Beer Week expectations and favorite events and bars around town. Q: What are the best aspects/events with Illinois Craft Beer Week? Beer Under Glass — Not only is this one of my favorite beer events of this week, it’s probably my favorite of the year. 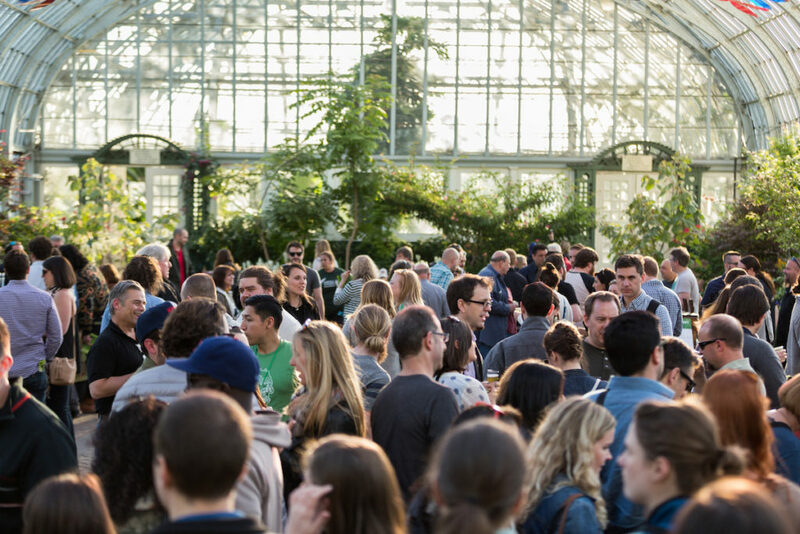 BUG is an excellent way to sample local beers from more than 100 breweries while exploring nature in the glorious and underrated Garfield Park Conservatory. 5-9 p.m. at 300 N. Central Park Ave. The Hop Review’s Ultrafresh III — These guys have one of the best beer blogs in the city, and they throw this festival featuring beer that has all been packaged for five days or fewer. Most beer is better fresher! 4-9 p.m. at Right Way Signs, 2333 N. Seeley Ave. Goose Island’s fifth annual Battle of the Breweries — It’s a silly, fun event pitting Chicago 30-plus breweries against each other in a dodgeball tournament. Attendees can taste some rare barrel-aged Bourbon County Brand Stout, and all ticket proceeds benefit the Illinois Craft Brewer’s Guild. 2-7 p.m. at 603 N. Sacramento. Illinois Brewing Over Beer, a live panel conversation — For you beer nerds out there, come meet a few of the area’s most notable brewers and gain insight into the industry during a live taping of a beer-centric podcast by Few Brews Beer Club. 6:30 p.m. at Sleeping Village, 3734 W. Belmont. The Suburbs — For us city folks, it’s a good opportunity to taste some of the best beer from the burbs. And they are brewing some killer stuff. Located at Beermiscuous, one of Chicago’s top craft beer destinations with a coffee shop-style atmosphere perfect for exploring hundreds of brews. 6-11 p.m. at 2812 N. Lincoln Ave.
Second annual New England IPA Tap Takeover at Forbidden Root — Come sample the hottest style of beer brewed all over the area. 5-10 p.m. at 1746 W. Chicago Ave.
Newbies and Freshies II — Featuring breweries participating in their first Craft Beer Week, it represents a great opportunity to sample som e new beers in the market. 6-9 p.m. at Bitter Pops, 3345 N. Lincoln Ave.
Brown Line Brews 6 — Ravenswood and the surrounding area has become a brewery hot spot, and this is a good way to sample some of the best along the Brown Line train route. 6-9 p.m. at The Long Room, 1612 W. Irving Park. 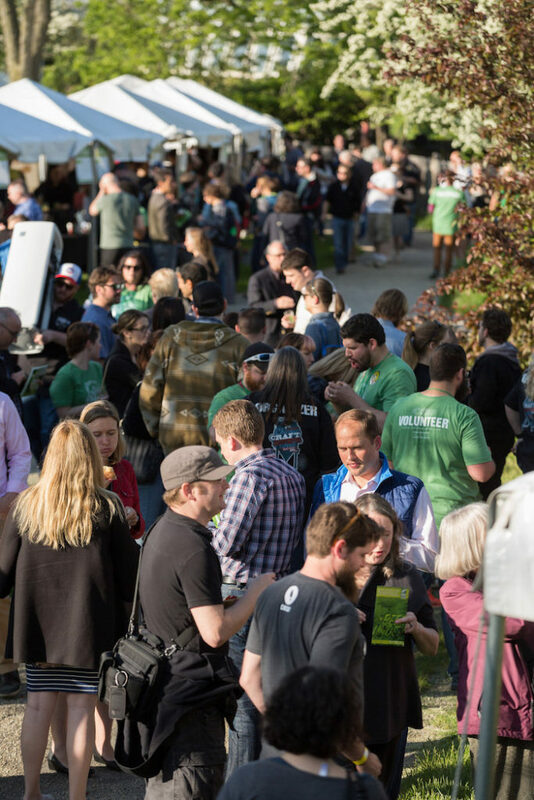 Good Libations Beer Fest — I’m looking forward to this inaugural beer fest that officially closes out Craft Beer Week. An impressive local beer lineup of 60 breweries with a tropical theme and a beautiful spot on the lake. 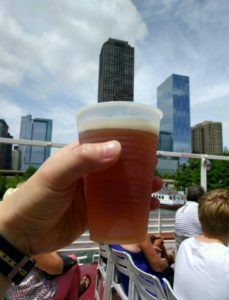 6-9 p.m. 2401 N. Lake Shore Dr.
Q: What are some of your favorite stops on your tours? 1.) They are a beer-and-bacon bar. 4.) They combine these two in magnificent fashion. On the same tour, our Bacon & Brewing Beer Tour, I also really am enjoying our new tour spot, Beermiscous, due to their expansive selection. On our Sin & Suds tour downtown, you can’t go wrong with the history and vibe of The Berghoff; I just love it. 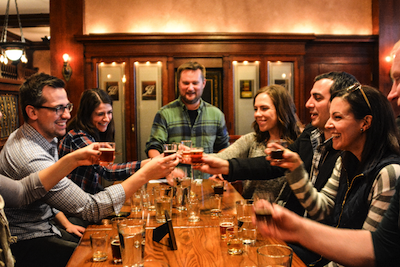 And Lemming’s Tavern on our Pioneers & Pints Beer Tour in Bucktown is a tour guide favorite for the chill neighborhood vibe and ever-changing small but mighty tap list. Q: What Chicago breweries have caught your eye of late? A: Dovetail, Maplewood and On Tour are some of the newer breweries in the city that are really crushing it. Also, I’ve admittedly caught haze fever, and have been really impressed with Lombard’s Noon Whistle Brewing, particularly their Gummy Series NEIPAs. Otherwise, I’m not as familiar with suburban breweries, but I have enjoyed beers from Buckledown, Pollyanna, Solemn Oath and Temperance (I can’t seem to get my hands on Mikerphone, one of the hottest breweries!). I think the older generation breweries like Half Acre, Revolution and Metropolitan are still brewing quality beers too. And a shout out to Burnt City Brewing and Vice District on our tours, as our groups really enjoy those beers as well. Q: What are Chicago’s best craft beer bars in your mind? A: There is a reason why Hopleaf and Map Room are still on everyone’s craft beer bar list, and it’s because they are fantastic places that know what they are doing. I’ve also been impressed with Link’s Taproom, Sheffield’s, Banger’s and Lace, Local Option, Maria’s Packaged Goods, First Draft, Clark Street Ale House, Fountainhead and The Beer Temple. There are a number of places that you may not necessarily think of beer first, either. For example, Monk’s Pub in the Loop has a sneaky great beer list. The Beer Under Glass event is this is the best way to kick off Craft Beer Week, as the breweries bring out better beers than they normally would for other festivals. The layout, just the fact it’s inside and outside of the Garfield Conservatory, makes it feel less crowded. It’s fun to wander through the whole place, especially when you realize you haven’t even seen close to the whole thing. The venue itself is one of the best aspects. It’s not amateur hour here. Everyone knows it. This is the real deal. In other words, don’t bring your pretzel necklaces. I’m looking forward to Mikerphone brings out. Hoping they have their barrel-aged Smells Like Bean Spirit. As for my favorite bars for craft beer, I’ve always been a big fan of The Beer Temple. They always have a lot going on, as well as one of the most unique tap lists anywhere. And the fact it’s a store and you can buy something on the way out only adds to the mix. The Green Lady in Lakeview — it’s close, comfortable, not pretentious and has a good tap list. One of the best in the city, actually. 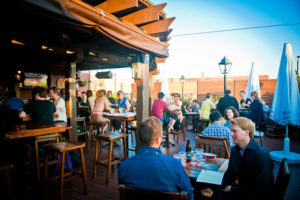 The Bottom Lounge on Lake Street downtown, near the United Center, is good as well, and their rooftop deck is a perfect fit for the warm weather.